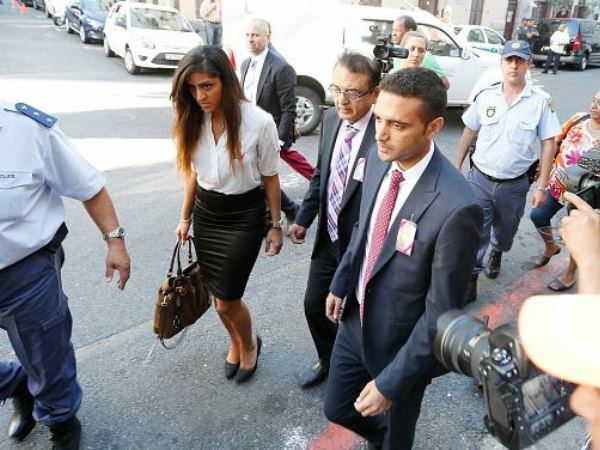 The first cousin of slain honeymooner Anni Dewani was called to testify in her husband Shrien Dewani's murder trial, in the Western Cape High Court on Monday. Sneha Mashru, formerly Hindocha, is the State's eighth witness and described the relationship she had with her cousin to prosecutor Shareen Riley. "Anni and I, my lady, were more like sisters. Anni confided in me and told me things she would not tell her sister or brother. We told each other everything and anything. I knew everything about Anni. We knew we could always trust each other, my lady," she said. The two used to speak on the phone or via text messages and e-mails. They grew up in Sweden together, went to the same high school and were a year apart in age. They graduated together and moved back to their hometown Mariestad. Anni got a job in Stockholm and Mashru remained in their hometown, but often stayed with her in Stockholm. Mashru moved to the United Kingdom for work in February 2010 and Anni joined her a month later. She said they always wanted to move to England and Anni wanted to get to know her boyfriend better. The State alleges he conspired with others to stage the hijacking in return for R15,000. Her body was found in an abandoned shuttle taxi in Khayelitsha on Sunday, November 14. Mashru said Shrien and Anni had a long-distance relationship between May 2009 and March 2010 and used to see each other about once a month. She met Shrien after the couple's third date. "I thought at the time that Shrien was a nice guy. Shrien and I used to have contact if there was anything to do with Anni. We had a relationship where he was dating my cousin. I only e-mailed him when we were discussing wedding things and he wanted my opinion." She said the couple broke up once in December 2009, after his second visit to Sweden. Prosecutor Riley asked why they broke up. At this point, Dewani's lawyer Francois van Zyl said the evidence was moving into hearsay territory and he objected. Deputy Judge President Jeannette Traverso agreed the evidence was hearsay and asked Riley to motivate why it should be introduced. Riley said the evidence was about Sneha's conclusion of the couple's relationship and formed a key part of their case. Traverso said the court must guard against allowing hearsay evidence and disallowed it. Mashru said the couple contacted each other again around December 29 or 30, 2009. Anni called him for his birthday and the relationship resumed.